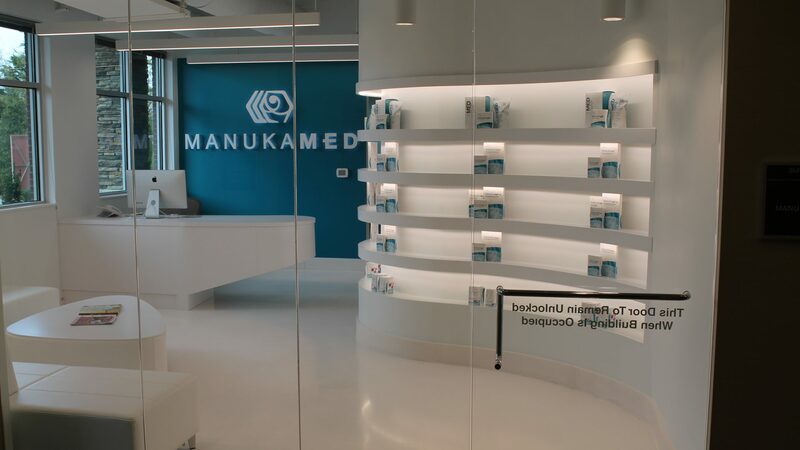 The Manukamed clinic has been designed to form a sequence of light and airy spaces and it has been an fundamental aim to rethink the typical, clinical corridor typology rather than the corridor layout typically used in clinical buildings. 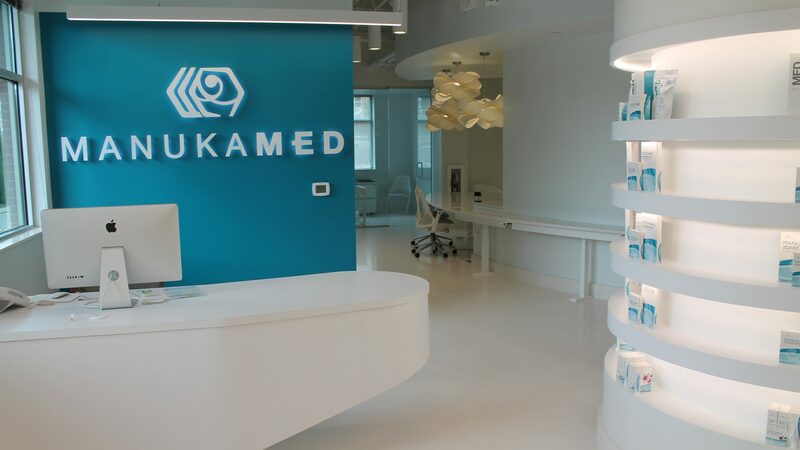 The Manukamed technologies alleviate pain and suffering caused by chronic wounds. 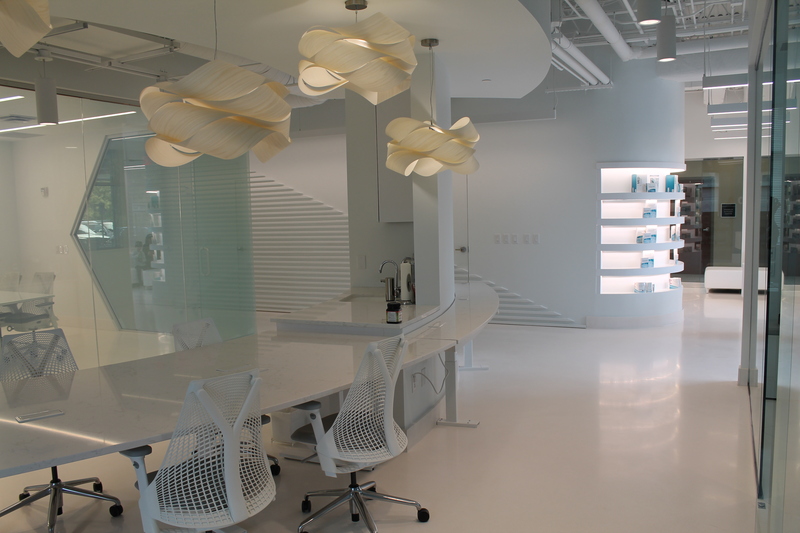 The use of glass, white walls and white concrete floors, create a clean and antiseptic atmosphere. 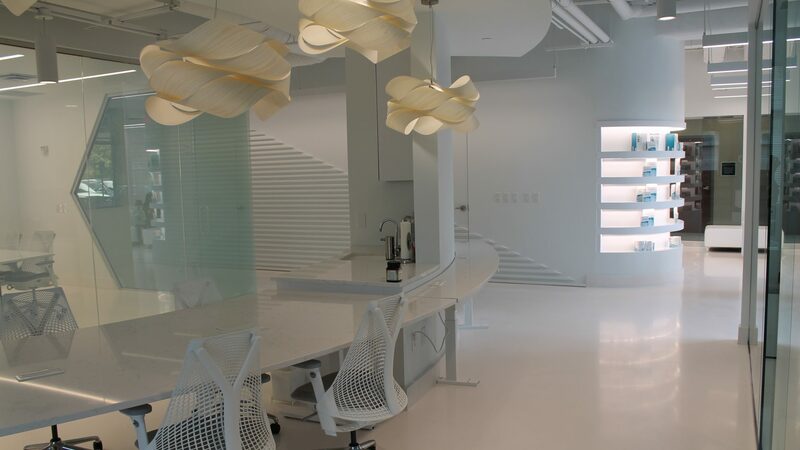 The curved and organic shaped furniture contrast to the square rooms and glass panels, creating an interesting environment. 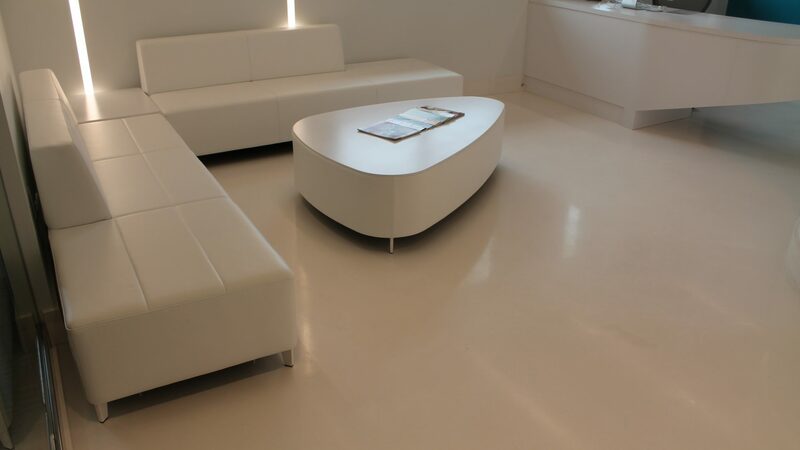 The floor has been made by Redimere Surface Solutions. 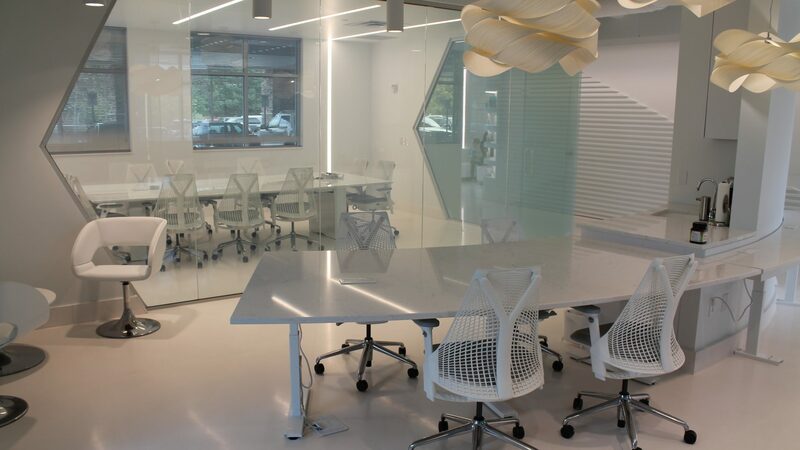 Redimere Surface solutions take care of our partner network in the USA, Achitectural Concrete Surfaces and are a guarantee for excellence in application.